After months of waiting, what you see here is the glimpse of the first Zii product. 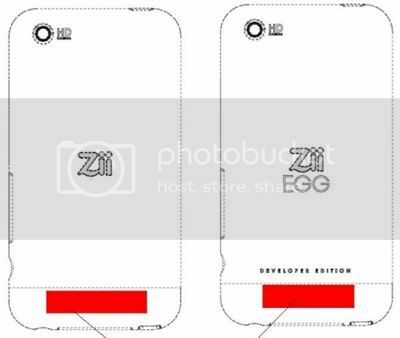 There are two versions of this device, the Zii (for consumers) and Zii EGG (for developers). We are definitely very excited about the Zii as it would be the first full fledged player from Creative for over two years. And it would be interesting to see how they would intergrate the HD camera with the player. We will have more information as it comes in, if I were you, I would start saving up now! The title of the article should be "Zii Outed by FCC", not "ousted" whould would mean "thrown out." You got me a little nervous there.